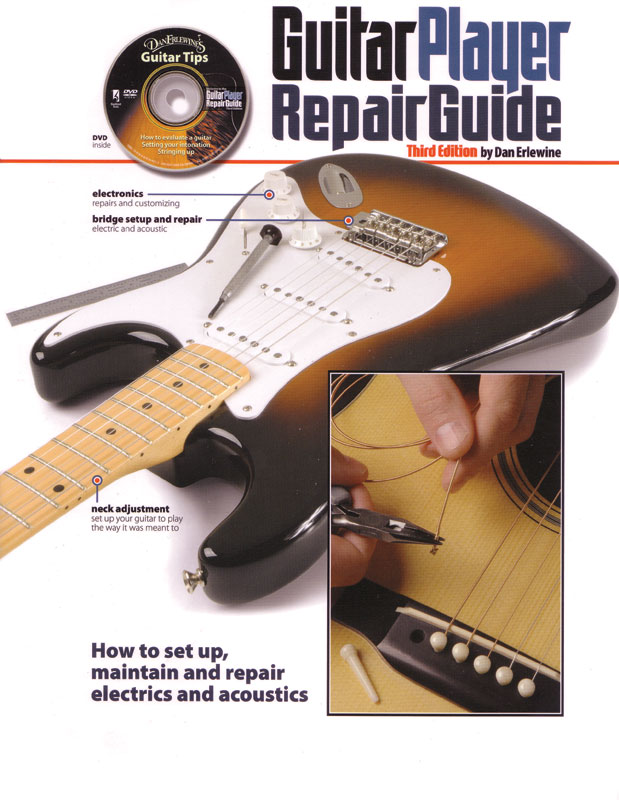 This revised edition is a step-by-step manual to maintaining and repairing electric or acoustic guitars and basses. Players will master the basic maintenance and set up of a guitar. An advanced crafts-person will discover this to be a valuable reference source for complex procedures such as replacing nuts and frets. This third edition incorporates new techniques and tools, plus detailed repair information for specific models. Includes DVD demonstrating various techniques of guitar maintenance. 309 pages, 2.0 lbs, 8.5" x 11". Packaging Dimensions 11 in. x 8.5 in. x 0.9 in.